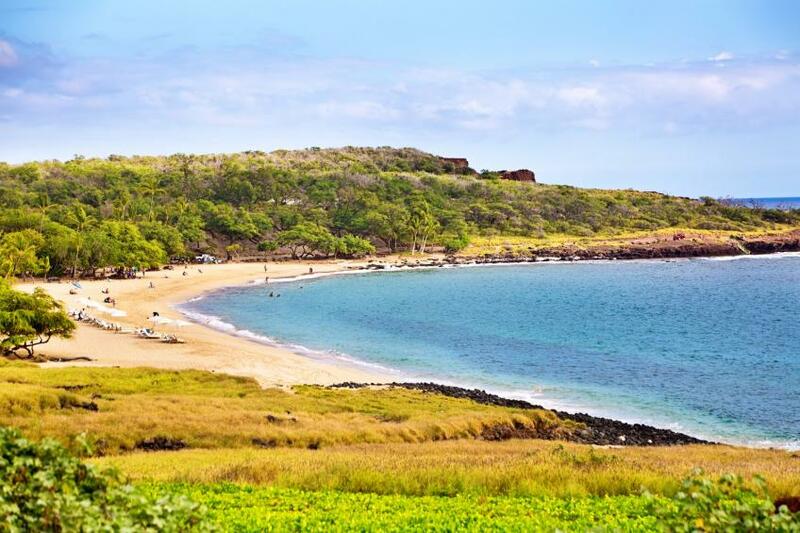 Located on the South Shore of Lanai, Hulopo’e Bay is a wonderful place to spend the day swimming, snorkeling, bodyboarding, and picnicking. The bay is a protected marine preserve, making it a wonderful place to observe reef marine life as well as turtles and dolphins! Hulopo’e Bay of the most popular beaches on Lanai due to crystal clear waters, tide pools, and abundance of ocean activities. Swimming conditions are best in the summer months.